Sales management is the application of skills, tools and experience to motivate your team and maximize your sales performance. While soft skills are important, a big part of sales management is also the tools and processes you put in place. This includes the goals you set for employees, and the metrics you’ll use to measure their progress. One of the best ways to help sales teams work on their sales process, manage their business pipeline, and monitor deals is with a sales-focused CRM like Pipedrive. Sales managers love Pipedrive’s clear visual interface that prompts teams to take action, remain organized, and stay in control of complex sales processes. Click here for a free trial. Here are the 6 key steps involved in becoming a quota-busting sales manager. A sales plan provides your sales team with clarity around what you are going to set out to achieve and how you are going to measure success. Writing out your sales plan should be the first step for any new sales manager, as it will inform the rest of your decisions — like which metrics you’ll follow, or the ways you will motivate your team. It communicates your sales goals and SMART objectives to your team and should go on to explain the tactics you will use to focus on both new and existing customers. Your sales plan might be included in your overall business plan, but it’s important to also break this out separately. Revenue is the lifeblood for any small business and, as such, it benefits from its own focus. The sales metrics that you are going to use to achieve your sales objectives are also important to include here. This is because, if you cannot measure an activity, then it becomes impossible to manage it. A sales plan should also confirm the resources that will be required to deliver the plan. Learn from past performance: One of the best ways to improve sales is to reflect on past performance and use this to help improve your future performance and drive increased sales and profits. Promote clarity of roles, discipline & focus: Sales works best when experienced sales people are given responsibility and freedom within a clear framework. Consult with your team: By consulting, you get buy-in from the rest of your team through allowing them to contribute ideas that help to improve the plan. Measure progress: A good sales plan is not only what you set out to achieve, but also the way that you will measure and manage your sales progress. Work more cohesively as a team: If everyone is clear what the plan is and how it is evolving over time then you have a much better chance of pulling together to execute it. Many small businesses turn to a sales-focused CRM like Pipedrive to measure the progress and performance of their sales plan. Pipedrive’s reporting tools are perfect for quickly getting to the heart of questions sales reps ask every day. Teams can get a personalized analysis of their sales pipeline, including which stages need improvement, delivered in seconds. 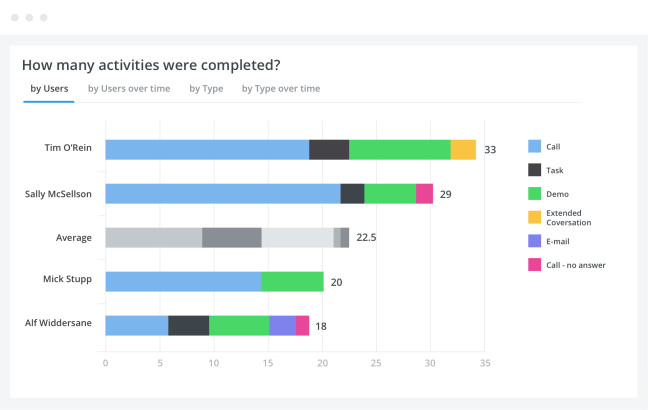 Actively manage sales with activity completion reporting in Pipedrive. I recommend reading How to Create a Sales Plan to Drive Business Growth, which will also provide you with our free sales plan template to help you get started. As a sales manager, one of your most important responsibilities is to help your team get a handle on these steps. This means first defining a clear sales process for your business specifically, then providing instructions and mechanisms to help your team with each step. First you have to work out who your customers are and how to find them in numbers. While you may have a marketing team assist in some aspects of lead generation, your team will often need to research prospects themselves. There are some great tools emerging that make it easy to generate high quality sales leads. Social platforms like LinkedIn and Twitter provide a great source of free sales intelligence. Other new tools are emerging like Lusha and Leads411, which are designed to help small business with sales intelligence. For instance, Lusha provides a simple method for identifying contact direct phone numbers, mobile numbers and email addresses as you browse LinkedIn and Twitter profiles in your Google Chrome browser. To learn more about lead generation techniques, I recommend reading 25 Ways to Get More Leads for Your Business. Or if you want to learn more about how to get new business leads I recommend reading The 5 Best Business Leads Suppliers. A key part of the sales manager’s responsibility is to define the way the rest of the team properly qualifies cold leads into sales ready opportunities. This is key to managing the conversion ratios of prospects into customers, which we discuss further below in the section about sales metrics. Does the business you are targeting have the budget for what you are selling? Are you dealing with the person that has the authority to make the purchase? Do they have the need to make a purchase? Are they going to make a purchase in the near future? Unless the answer to each of these questions is “yes” for each and every prospect, it does not make sense for your sales reps to proceed to the next stage and deliver a sales pitch. This is because the prospect is not in a position to buy and their time would be better spend qualifying a fresh prospect. A good B2B sales pitch should tell a story. At the heart of this story will be a deep understanding of your prospects problem and how your product can help solve this by saving your customer money or helping them to make more money. To learn more about what your pitch presentation should contain and how to prepare for a pitch meeting, I would recommend reading how to create an effective pitch presentation. There are lots of tools that can help you to create a great pitch presentation in-person. We have written another article, which explores the best presentation software currently available to making pitch presentations. A good sales manager will coach their sales reps to complete your B2B sales pitch and overcome any and all objections before attempting to negotiate price. This is because it allows your sales rep to understand the basis of any negotiation that they enter. A key tip I would suggest coaching into your team is not to send the cost proposal until price negotiation is agreed in principle first through discussion. This reduces risk substantially and has a very positive impact on conversion rates. I recommend reading sales negotiation to get more tips on how to win the deal at the right price. Sell first: Before you close a sale, you must first earn the right to ask for the business by clearly communicating the value of your solution. Sell on value: Value is determined by your customer. Train your sales reps to demonstrate that your solution has more intrinsic value than simply a competitive price alone. Part of your role as the sales manager is to help them to hone the best way to communicate this value via your value proposition and sales messages. Over deliver: Deliver earlier than expected, commit to add extra service and come back with more than you promised. As Sales Manager, make sure your reps understand the link between doing this and; delighting prospects, closing deals quicker at better prices, and generating customer referrals. If you would like to learn more about how to create an efficient and effective sales process, I recommend reading how to create a sales process. A good small business CRM tool supports sales management by helping your team operate more efficiently and effectively during each key stage of the sales process. As a sales manager, you need to manage your sales reps performance, and it’s impossible to manage what you cannot measure. Do not be persuaded away from this principle. Good salespeople want to be measured because it allows them to demonstrate how good they are at their job. Poor salespeople tend to muddy the water to make themselves less accountable to protect themselves when things don’t work out. The best small business CRMs are affordable, simple to use, automate sales reporting, and integrate easily with other tools. 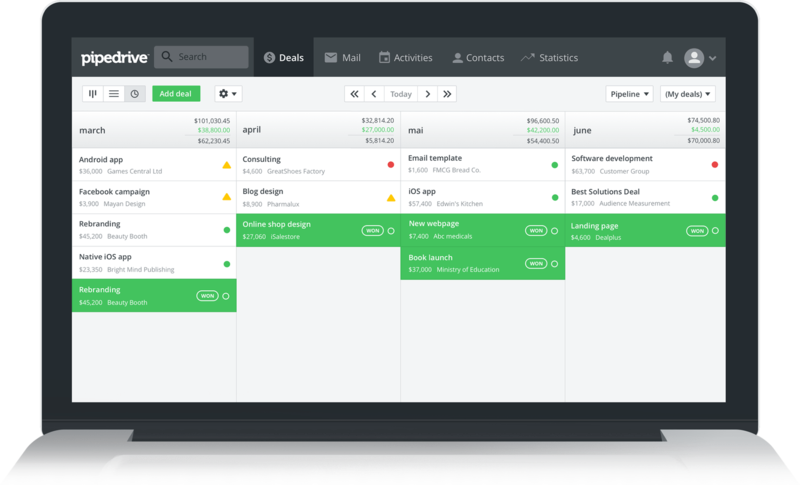 Pipedrive is a sales-focused CRM that’s easy to use right out of the box. Sales reps love its visual sales pipeline, because it’s exactly how they expect a sales CRM to look and work. Starting at $12.50/user per month, it’s also the best inexpensive option for companies who only want a CRM for managing sales. 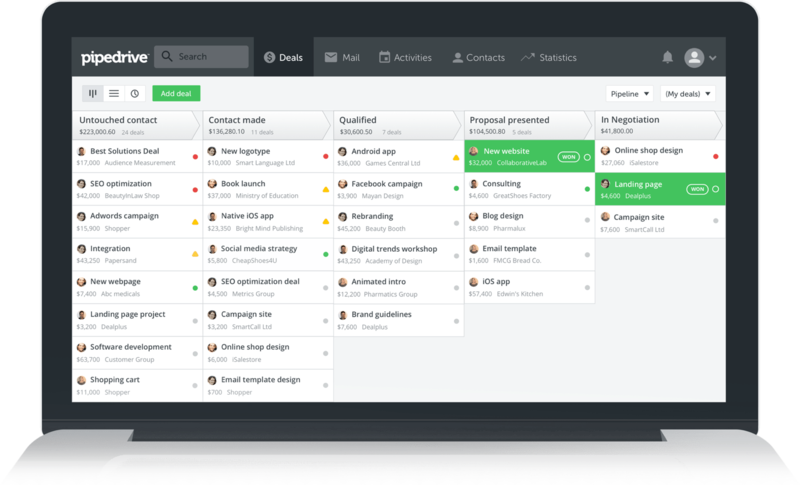 Add deals, contacts, or activities to Pipedrive’s drag-and-drop visual pipeline. To learn more about other tools that you may want to consider putting in place to support your sales team, I recommend reading The Best Sales Enablement Software for Small Business 2017. The question to ask yourself is: “How big is each sales opportunity?” If it’s 2x the size of your average customer win, you have to question whether it’s realistic. It’s key that the sales manager does this as your sales rep is too close to the deal and as a result may not be able (or want to see) that ultimately the deal will fail on price. If this is not the case, why are you not selling the product for twice as much to all your customers? Reliable sales forecasting is also key to any sales strategy. Pipedrive lets you see ongoing deals arranged by their likely close date next to deals already closed for easy comparison. This allows sales reps to correct course before it’s too late, work on deals likely to close, or find new deals to work on. Opportunity age is a strong indicator of how likely a deal is to convert to the next stage. Deals that linger in your pipeline for too long at any given stage are much less likely to convert than deals that maintain momentum at each stage. Again, it’s key that the Sales Manager takes responsibility for highlighting when an opportunity has started to rot in any given stage. Win rate can be defined as is the number of opportunities it takes your team to generate a new paying customer. 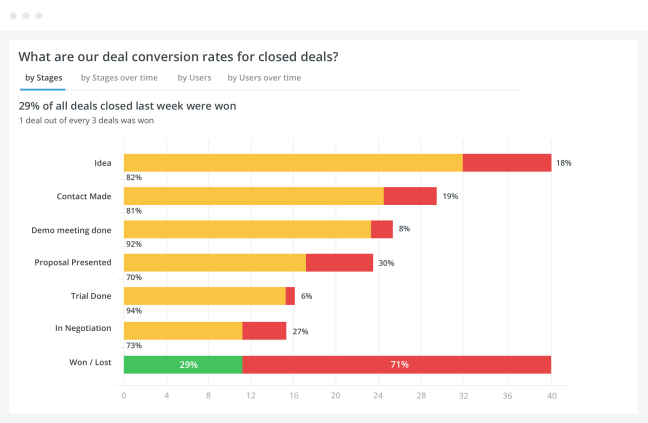 Pipedrive has automated Stage Conversion Reports, which allows you as a Sales Manager to see at a glance how likely a deal is to convert at each stage in your sales pipeline. Understanding how many opportunities will convert is important, because improving the conversion rate has a massive positive impact on your bottom line profits and is at the heart of effective sales management. Analyzing the patterns behind the deals that you win so you can focus more sales time on similar types of opportunities, and the sales behaviors that improved the likelihood of closing these deals successfully. To learn about even more useful metrics, you can check out our full article on sales pipeline metrics. Sales pipeline meetings focus on the health of your pipeline. A key focus is making sure leads entering the sales funnel are sufficient to meet the sales team’s needs over the months ahead. The sales cycle is the time it takes for your average customer to enter and complete the sales funnel. If your sales cycle is 6-months, you need to think at least 6-months ahead. Sales reps live in the moment and sales management is necessary to ensure you plan ahead to keep your sales pipeline and ultimately your business cash-flow in good shape. Are we adding enough new leads? Is the lead quality of the required standard? Does the sales team have enough leads for the next quarter? In addition to examining the health and progress of a sales pipeline, it’s also useful to analyze the reasons why customers drop out of the sales funnel. 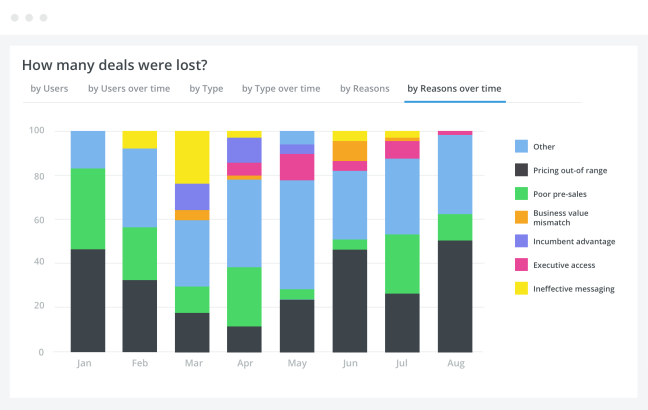 Pipedrive’s Deals Lost reports lets sales managers drill down by individual and compare selected periods to accurately measure and see results by stage, for a clear view of where changes need to be made. Sales forecast meetings are purely focused on deals that are going to close over the week or month ahead. Frequency should reflect the nature of your sales operation. However, most sales teams have a regular weekly sales meetings to keep a tight rein on converting sales forecast into sales revenue via new customers. Meeting discipline is important and is the responsibility of the sales manager. In my opinion only sales reps should attend attend and the meeting should take place at the same time each week. Which deals have progressed from one stage to the next over the last week? Which deals will move from from one stage to the next over the week ahead? Managing and motivating sales reps is an art and most sales managers will tell you that it is one of the most difficult aspects of their job to get right. 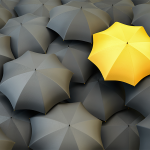 An effective sales manager sets very clear expectations in terms of core values and behavior. These are then used when hiring and reinforced by the sales manager through leading by example. For instance, if forecasting the sales you will close over the week ahead is a key behavior, then insist on it and explain why it’s important. The key thing to remember is consistency: That means providing reminders and warnings, and being prepared to dismiss sales reps who consistently ignore your behavior expectations, even when they’re a high-performer. This is because the poor example they set undermines your whole sales team. Be sure to make a clear determination of what it is you want your sales reps doing. Are you looking for new business? Are you looking to maintain and grow existing accounts? Are you looking for sales leaders to mentor and new reps? Then, incentivize this behavior with a strategic compensation structure or sales contests. Often the best salespeople are very focused on personal achievement, and their ego is too prominent to lead and support others well. Good sales managers need to be able to share their knowledge openly and create a climate where it’s OK to make mistakes and learn from them. Transparency only results if your sales reps believe that it’s OK to make mistakes. A key aspect of effective sales management is for the Sales Manager to display patience and coach their team to high performance, encouraging them to take some risks and learn from their own mistakes. If you sense that you do not have this patience or experience, you could consider using a sales training resource to help you give your sales team the support they need. An experienced sales manager knows that it takes 6-8 touches from a sales rep on average to secure a sales pitch meeting. 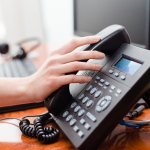 However, inexperienced sales reps tend to give up after 1 or 2 cold calls and follow-up emails. If you want to build a high performance sales team, you¹ve got to find a way to get your sales reps to persist beyond this hurdle. For more ideas on how to motivate your sales team, I recommend reading Sales Motivation Tips From the Pros. Sales management is a crucial skill to develop in any small business. An effective Sales Manager is capable of taking an average sales team and transforming it into a high-performance sales team capable of consistently delivering 2x the revenue from the same cost base. At the heart of effective sales management are the 6 key disciplines I have shared with you in this article. Putting the right sales CRM tool in place will enable more effective sales management. I recommend Pipedrive because it helps sales teams work on sales processes, manage their business pipeline, and monitor deals using a visual sales pipeline that shows what needs to be done each step of the way. Click here for a free trial. Enjoyed the content here. The SMBs I work with tend to lack the organized approach to put a plan like this in place. They are, instead, hyper-focused on working in their business as the owner operator. The break away point form this paradigm and pain they feel is recognized when they see their flat-lined growth. At that point, this information is really valuable. I’ll bookmark and share it. Thanks, it’ll help me create separation as well as a solution for a business looking for their next growth moment and phase.